This was indeed a rare treat, John Illsley one of the founding members of one Britain's best-loved bands, Dire Straits playing The Flowerpot. The show was split into two sets featuring a mixture of John's solo songs, in particular showcasing tracks from his brilliant new album Testing The Water and some of the best known songs from the Dire Straits years. Illsely's superb band featured the fantastic Phil Palmer on guitar, Phil actually played in the touring band for the Dire Straits On Every Street World Tour 1991-92. The band took to the stage launching into a stunning version of Walk Of Life and then Expresso Love. John told stories in between some of the songs and made a joke about the fact that the long gap between solo albums was down to him being a slow writer. Highlights from the first set included a flawless Private Investigations, new song Sometimes, So Far Away and ended with the brilliant Sultans Of Swing. The second set featured more tracks from the new album including Darling Heart, Testing The Water and the stunning Railway Tracks, a song written while John was in hospital. 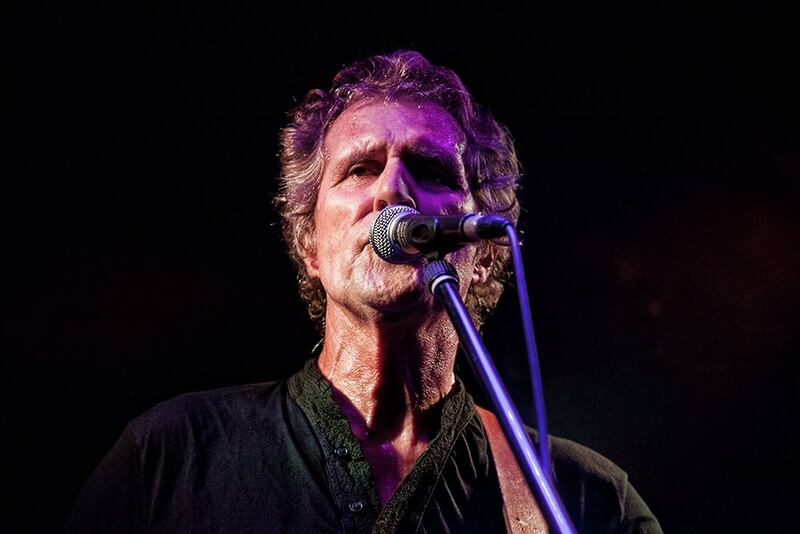 These songs illustrate just how good a songwriter John Illsley is, interspersed with choice Dire Straits cuts as Romeo and Juliet and Two Young Lovers. The band then treated us to Calling Elvis, a very powerful rendition of Brothers In Arms before ending with a superb version of Money For Nothing in which Phil Palmer really came into his own as a great guitar player that he is and the crowd were cheering and singing along. John Illsley and company came back to the stage and encored with The Bug, a great song to end a really good gig on. This is possibly one of the best gigs ever staged at The Flowerpot and a rare treat to have such a legendary musician from one of the UK's best-loved bands playing this intimate venue. This was one of those gigs that will be remembered by all those present for many years to come.